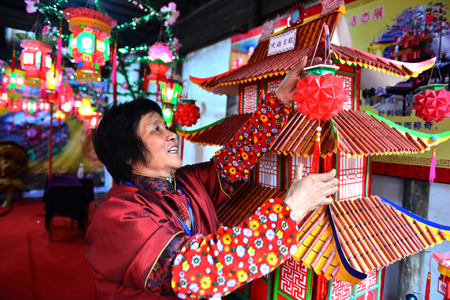 The traditional folk culture festival,”10th October” ( Lunar calendar) in Fotang town, Yiwu, which has not been held for 4 years will be held again this year. There are two popular stories about the festival’s origin, one is to memorize days when the man who is called dash .Fu come to Fotang to teach and spread Buddhism , another is to memorize the birthday of the dharma patriarch; it was said that it was the day , 10th, October when he arrived to Fotang town, which was famous for its name ”litter Lanxi”, where there were great Water transportation, numerous businessmen, and prosperous commerce since Qing dynasty ,but no temple fair yet at that time. Qinsheng. Zhao, who was the president of a commercial club in 1932, had an idea of holding a temple fair for the purpose of grabbing the business opportunity. Since then, Fotang town had hold the temple fair on 10th October every year in Fotang, and the festival turned solemn gradually as time went by, at the same time, the time during the 10th October in temple became the supplies and culture’s communication meeting. The traditional ‘10th October’ has existed for more than 80 years and has developed from a single commodities’ communication meeting to the prosperous meeting which got integrated business, local industry, traditional culture and folk talents together. Several years ago, the traditional”10th October” in Fotang town, Yiwu has been early figured into the second lists of representatives of intangible cultural heritage, it has upgraded from a traditional temple fair to a regional culture festival of folk custom since 2008. It was stopped because of some reasons in 2013. The festival will be held again this year. 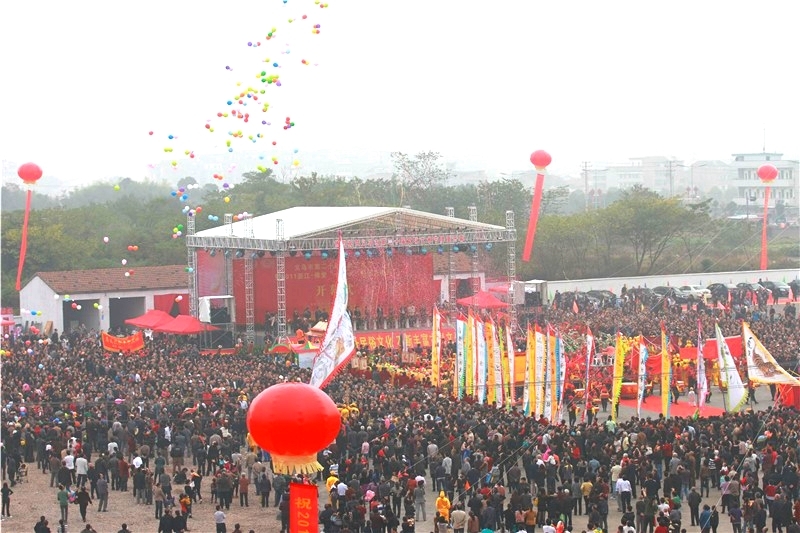 On 26th November, (9th, October for traditional Chinese calendar), the opening ceremony for the latest culture festival will be held at the business central square at Baolong village in Fotang town ,at the same day’s afternoon, the developing forum in Fotang will be also held in the meeting room of the Third Water Company in yiwu, according to the entire plan about this festival at the town in 2017,on 28th November(11th October for the lunar calendar),the bridge ceremony of Wanshan Pontoon which passed across the south and north part in yiwu ,is going to start with thousands of people’s witness. Furthermore, there are also a series of communication activities about cultural supplies during the three days. 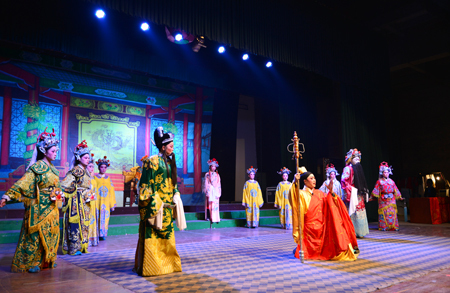 For example, there will be a match of square dance and the 9th Culture Hall Cup Line dance at the business central square at BaoLong; to show and display the intangible cultural heritage at the old town’s street, in Xinhua theatre and BaoLong square; to perform Wuju opera such as ‘Xuwenqing’ in the area of Dongwang and the old town’s main entrance in Jiangbei; to display the award-winning work of Temple’s photograph at XinHua theatre on the old street; to hold the activities of” spreading culture to the village”in those places, such as ancient apartment and Long tang village and so on. It was said that Party committee and government in Fotang town thought highly of the current festival, their careful organization for it and establishment of leader groups which is guided by XinGui. Yu, a party secretary at the town, to arrange meticulously the festival from leading, staffing, spreading culture, materials exchange, route traffic, city management, safe, Logistical support and so on.